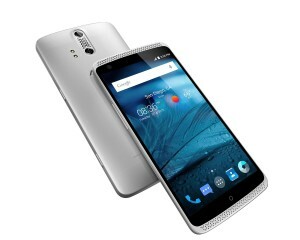 64GB ZTE Axon Pro now available for $449! You are at:Home»BUZZ»64GB ZTE Axon Pro now available for $449! If you are looking for an affordable phone with great specs – you should add the ZTE Axon Pro to the mix. With a 5.5″ CGS LCD Display (2560 x 1440, 534 ppi), 2.0GHz Octa-Core Qualcomm Snapdragon 810 Processor, along with 4GB RAM, this matches the best of the best specs wise. NOTE: Don’t forget to enter our Halo 5 giveaway! Similar to new flagships, there is a non-removable battery, though 3,000mAh should get you through your day. Camera wise, there is a 8MP front facing camera for selfies and dual-lens rear camera (13MP + 2MP), you can also record video in 4K. If you are considering this phone, it is because you love listening to music. 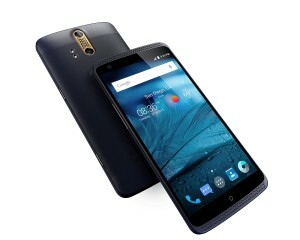 According to ZTE, this is the “first true high-fidelity phone available in the U.S. that lets you hear music and record sound the way they were meant to be heard,” also included are JBL headphones, which are much better than standard earphones. The Axon Pro comes in three different colors: silver, gold and blue, though officially they have fancier names; such as Chromium Silver, Ion Gold and Phthalo Blue (your not the only one nodding your head). What do you think, has ZTE done enough to separate their flagship phone from the pack? Tweet us @AsianGeekSquad.